The GE Pierson 52 in. Hugger Ceiling Fan has an updated design that will complement most any décor. The fan is available in brushed nickel or bronze finishes. The low-profile design allows installation on lower ceilings, and features the new and technologically advanced SkyPlugTM Mounting System to provide safe, quick and easy installation. This innovative Plug & Play feature eliminates complicated wiring, and allows the fan to be easily taken down, or switched out with a large variety of ceiling fans within seconds! 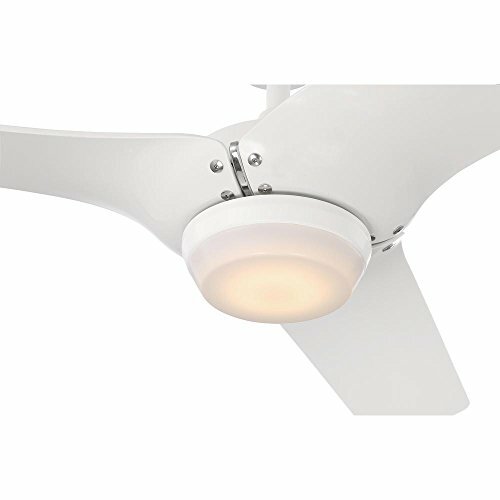 The GE Pierson Fan has an integrated and dimmable 18W LED light kit (with a life span of over 25,000 hours) and includes a hand held 4-speed remote control, which operates the light and fan, and includes a reverse function and optional wall mount. The fan is built with high quality GE specifications and includes a limited lifetime motor warranty. To assist with installation, please refer to the Installation Video. The GE Selena 54 in. 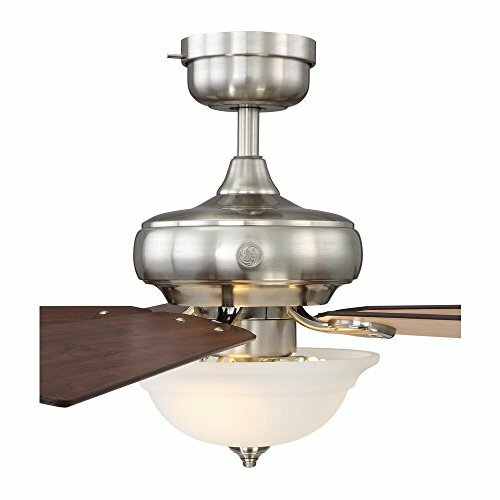 Ceiling Fan, with its classic and stylish design, will complement any room and is offered in brushed nickel or bronze finishes. The fan features the new and technologically advanced GE SkyPlugTM Mounting System to provide safe, quick and easy installation. This innovative Plug & Play feature eliminates complicated wiring, and allows the fan to be easily taken down, or switched out with a large variety of ceiling fans and light fixtures within seconds! 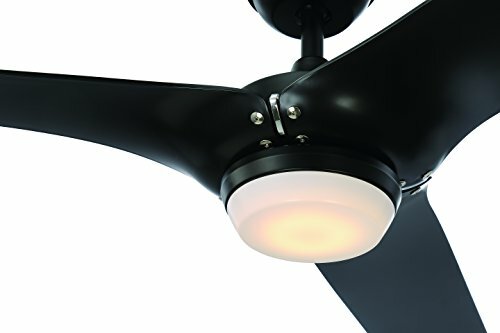 The fan includes a 3-speed remote control (with wall mount) that operates both the fan and the dimmable LED light kit. The light kit has 3 LED light bulbs, included, and are housed in a white frosted glass shade. The GE Selena 54 in. 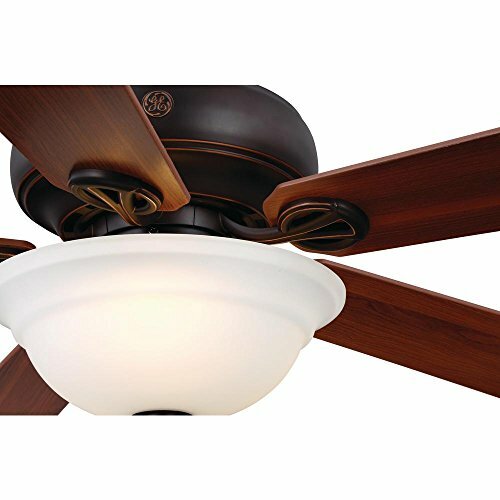 Ceiling Fan is built with high quality GE specifications and includes a limited lifetime motor warranty. The GE Arrowood 60 in. 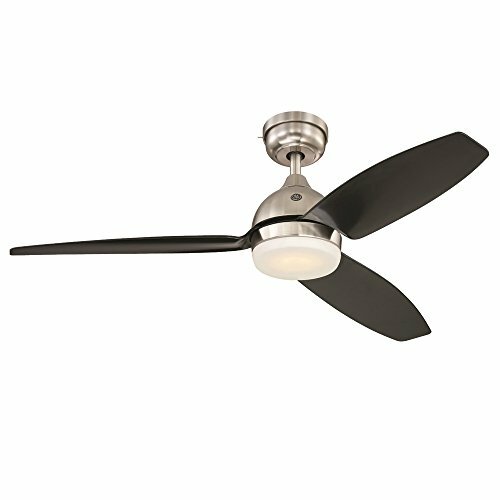 Ceiling Fan has a sleek and stylish design that is offered in brushed nickel, black, or white finishes. The fan features the new and technologically advanced GE SkyPlugTM Mounting System to provide safe, quick and easy installation. This innovative Plug & Play feature eliminates complicated wiring, and allows the fan to be easily taken down, or switched out with a large variety of ceiling fans and light fixtures within seconds! The fan includes a 4-speed remote control that operates both the fan and the 17W dimmable LED light kit, and has a reverse function and wall mount. The GE Arrowood 60 in. 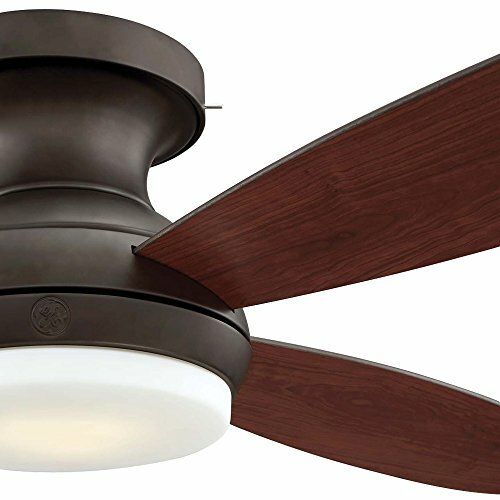 Ceiling Fan is built with high quality GE specifications and includes a limited lifetime motor warranty. The GE Arrowood 52 in. 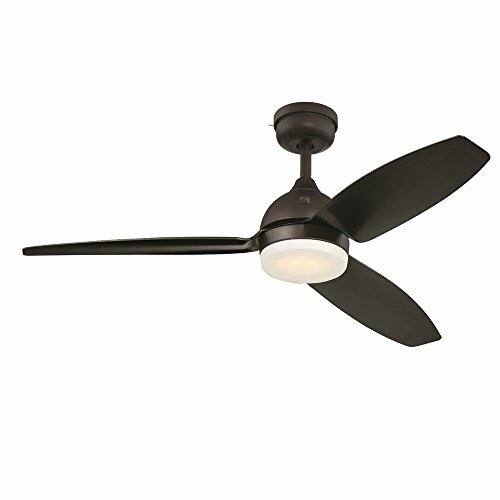 Ceiling Fan has a sleek and stylish design that is offered in brushed nickel, black, or white finishes. The fan features the new and technologically advanced GE SkyPlugTM Mounting System to provide safe, quick and easy installation. This innovative Plug & Play feature eliminates complicated wiring, and allows the fan to be easily taken down, or switched out with a large variety of ceiling fans and light fixtures within seconds! The fan includes a 4-speed remote control that operates both the fan and the 17W dimmable LED light kit, and has a reverse function and wall mount. The GE Arrowood 52 in. Ceiling Fan is Energy Star Certified, and built with high quality GE specifications that include a limited lifetime motor warranty. The GE Arrowood 60 in. 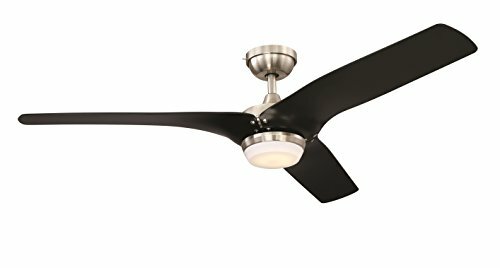 Ceiling Fan with SkyPlug Technology has a sleek and stylish design that is highlighted with a brushed nickel finish with 3 black blades. The fan features the new and technologically advanced GE SkyPlug Mounting System to provide safe, quick and easy installation. This innovative Plug & Play feature eliminates complicated wiring, and allows the fan to be easily taken down, or switched out with a large variety of ceiling fans within seconds! To assist you, an easy-to-follow installation video is available online. The fan includes a 4-speed remote control that operates both the fan and the 17W dimmable LED light kit, and has a reverse function and wall mount. The GE Arrowood 60 in. 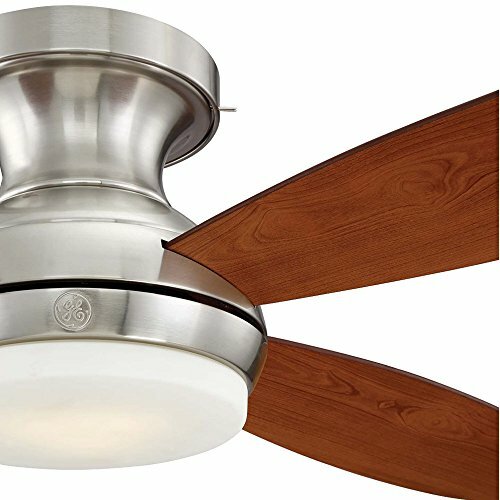 Ceiling Fan is built with high quality GE specifications and includes a limited lifetime motor warranty. Hi, I myself do it by free theme. 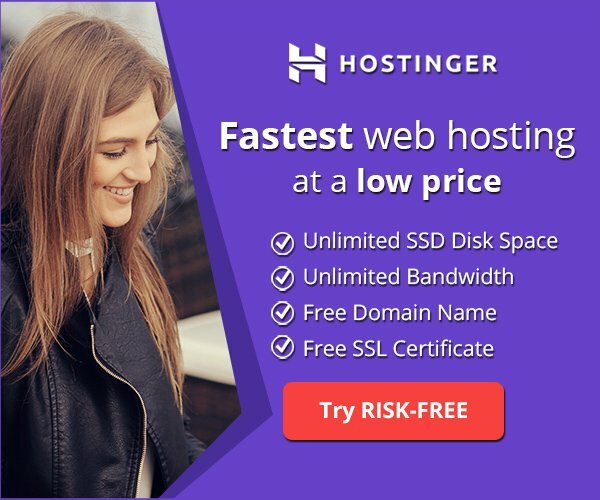 Do you want me to help you to create a web blog. ?